Upon arrival in Nagpur, you will be picked up (at the airport or train station) by our representative and transferred to our resort. Check into the resort, freshen up and relax. A delicious lunch will soon follow. In the evening, take a leisure walk and, at the same time, enjoy the beauty of nature. Have a scrumptious dinner and then it’s time for a quiet and relaxing good night’s sleep. Your day begins early in the morning at 6AM when you will be picked up from the resort for a jungle safari ride. Morning is the best time to see various exotic birds stretching their wings. Tigers and other endangered animals can also be sighted. Upon return from your morning exploration, breakfast will be waiting. After Breakfast, rest and relax, or indulge in merrymaking until lunch. Post lunch; head off again into the interior of the park. This is one of the best times to spot the majestic tigers relaxing or having fun. You can see them near a waterhole, relaxing in undergrowth, or leisurely crossing your path. Apart from tigers, you will also get to meet other exotic wild animals. After having your fill with the various wildlife encounters, return to the resort to be greeted by a finely prepared dinner. Have a feast and, after all the thrill and excitement of the day, take a much needed rest. 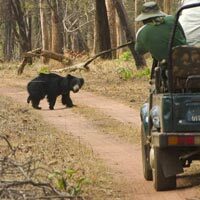 The various places or locations you will be visiting offer ample opportunities to come into close contact with various wildlife species that inhabit the vast expanse of the Tadoba-Andhari Tiger Reserve. The reserve, designated the 41st Tiger Reserve of India, is home to a large number of the majestic Bengal tigers. Another early morning safari ride before your departure from the resort (Departure time: 11:30AM). 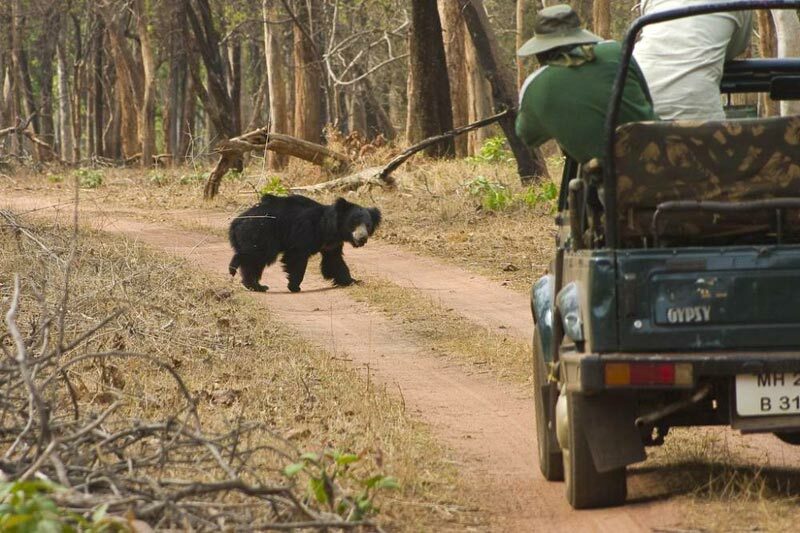 You will be picked up early in the morning to explore exciting spots frequented by enchanting wild animals. This includes tigers taking a break, or returning, after a night’s hunt. The morning ride will take you through the various corners and surroundings of the park. This final safari before your departure also offers a chance to recap on all the thrill and excitement encountered the previous 2 days. Complete the morning safari and return back to the resort for breakfast. After refreshing and healthy breakfast, prepare for Check Out. You will be driven to Nagpur and dropped at your preferred destination – airport, railway station or hotel.